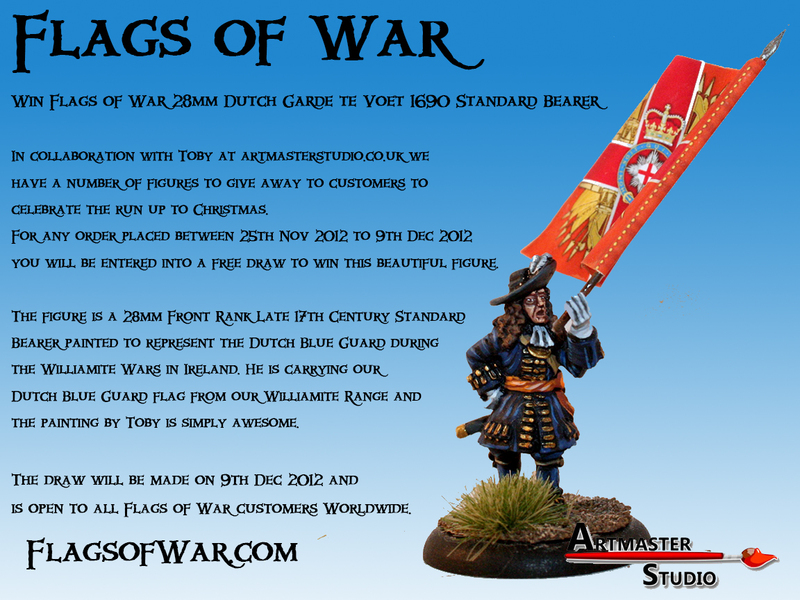 Flags of War: Dutch Garde te Voet 1690 Standard Bearer WINNER!!! 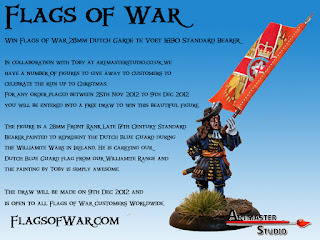 Dutch Garde te Voet 1690 Standard Bearer WINNER!!! First of all thank to everyone who purchased our flags and everyone who has shown an interest in the figure. The winner of the figure give away drawn by my daughter this morning is Don Avis from Herts. Don has been emailed and his figure is on it's way. I'll try and get the details of the next figure give away up on the site.